If you ever need to get to your hotel room fast without being stopped you should watch this video. Have you ever been running late and had to get on an elevator. You can almost always count on getting stopped floor after floor causing you to bite your tongue as people slowly board like cattle. 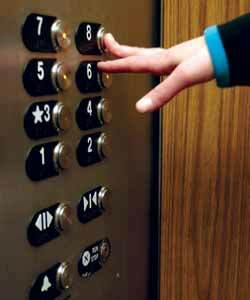 This little elevator trick will get you nonstop to your floor when used on about 90% of all elevators. More tricks for more people that feel more entitled than the rest of us (to the point that they go in lanes they know are closing to get around all of the traffic that they are screwing up by not merging until the last minute). That does not always work!